PCC Chemax formulates, develops, and markets a broad range of additives used as processing aids, functionality enhancers, and property enhancers in a wide variety of industrial products. Advanced product development, technical and analytical expertise, and exceptional service have enabled us to achieve an attractive competitive position within multiple markets. These markets include: Metalworking, Metal Cleaning, Metal Plating, Polymer Additives, Oilfield, HI&I, Waste Water Treatment, Pulp and Paper, Construction, C.A.S.E., Textile Additives, Corrosion Protection, and we are always looking for additional market opportunities. PCC Chemax is built on a foundation of strict ethical practices: commitment to the safety of the environment and our employees and dedication to meeting or exceeding customer expectations. We are headquartered in Piedmont, South Carolina with various locations throughout the world. Our current market areas include North America, South America, Europe and Asia. An American company PCC Chemax INC. running its business in the area of specialty surfactants for various industries (oilfield markets, metalworking, construction, textile and many other markets) is incorporated into the company’s structures. Thanks to an acquisition of an American manufacturer of a well-established position on the USA market, PCC EXOL develops its operations in the R&D area, extends its offered product range with specialty products, starts sales on new international markets. Chemax was founded by 3 partners to develop specialty additives for specific markets and individual customer needs. Chemax was acquired by Rütgers Organics headquartered in Mannheim, Germany. Chemax was acquired by PCC SE headquartered in Duisburg, Germany. PCC Chemax is the first U.S. based company acquired by PCC SE. 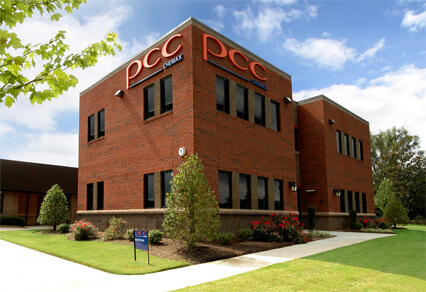 PCC is expanding internationally in its three divisions: Chemicals, Energy and Logistics. Today, more than 70 subsidiaries and associated companies working within the PCC Group staff approximately 2,300 employees in 12 countries.